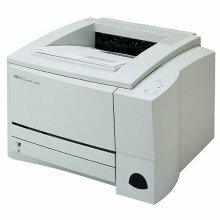 The HP 1300 is a black and white Laser Printer with very reliable quality output. 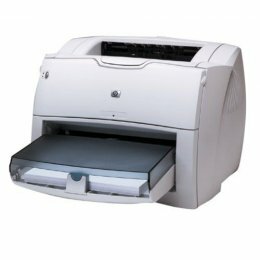 The HP 1300 Laser printer has professional LaserJet quality and can print at a speed of 19 pages a minute with the first page out in just 8 seconds. 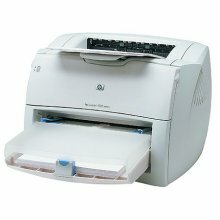 The HP LaserJet 1300 Printer, as with all our products are cleaned, tested and working, and pass clean test copy. The HP 1300 is avery reliable black and white printing solution for business professionals working in any size office, who need a fast and flexible personal printer with optional network capabilities and additional paper handling for their business documents. The HP LaserJet 1300 can produce high-quality documents quickly and easily--instant-on fuser provides first page out in just 8 seconds and up to 20 ppm. 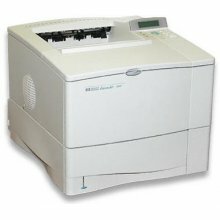 The HP 1300 has a 133-MHz processor and 16 MB RAM (expandable to 80 MB) to accomodate the demands of personal or shared printing needs. The HP LaserJet 1300 Prints with HP PCL 5e, HP PCL 6 or HP Postscript Level 2 emulation. The HP 1300 uses the DIMM slot to add more memory, fonts or third-party solutions. The printing systems support a wide range of operating systems: Microsoft Windows 98 and later, Mac OS 9.x and OS X, Linux, UNIX and MS-DOS.